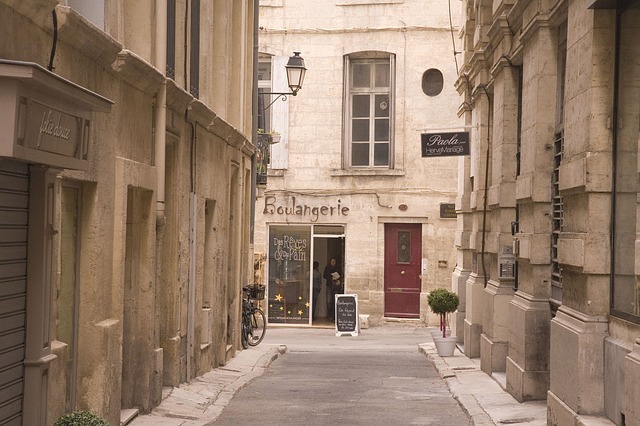 Mediterranean city, Montpellier is located in the heart of a privileged environment between the sea and mountains. The city is displayed as an attractive and dynamic regional capital. You will love the cosmopolitan atmosphere, the relaxed lifestyle typical of the South of France, its lively terraces and its 300 days of sunshine per year ! Meats, fruits and vegetables, goat and sheep cheeses, olives, honey… a lot of emotions to be discovered in our restaurants or our markets. Enjoy it ! Visit the Fabre Museum of Montpellier which is considered as one of the most prestigious museum of Europe. Discover the work of great Flemish, Dutch, Italian, Spanish and French Masters. 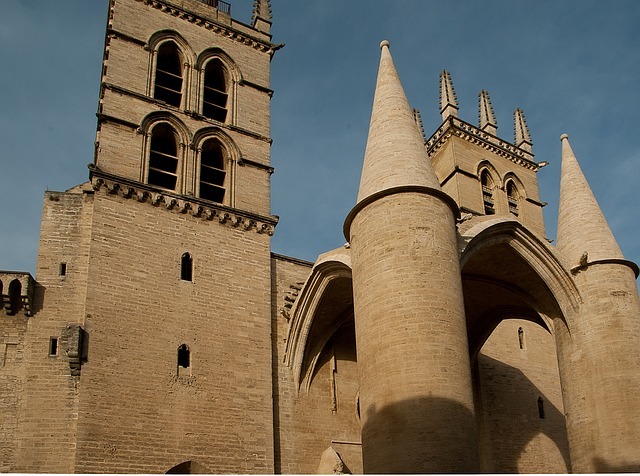 St. Pierre became a cathedral in 1536 when the Diocese of Maguelone was transferred to Montpellier under King François I. Don’t miss the impressive canopy porch supported by two monumental cylindrical pillars (4.55 m in diameter! ), which formerly bore the coat of arms of Urbain V.
The Montpellier Botanical Garden is one of the oldest in Europe. It was created by the order of Henri IV in 1593 for Pierre Richer de Belleval (1564-1632). At the time it served as a model for designing all the botanical gardens in France, including the one in Paris 40 years later. Originally of limited size, the garden occupied around one hectare with one main hill- the « mountain » – plus some space for a plant collection. Over the years the garden area grew to include a medical school, an arboratum, and a landscaped park. Now the property of the University of Montpellier I, the garden is classified as a Historical Monument and Protected Site. 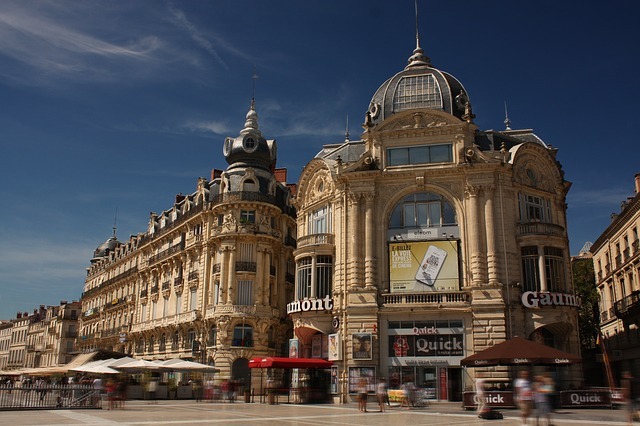 Montpellier was only two centuries old in 1181, when its Lord Guilhem VIII signed a surprising and far-reaching edict. 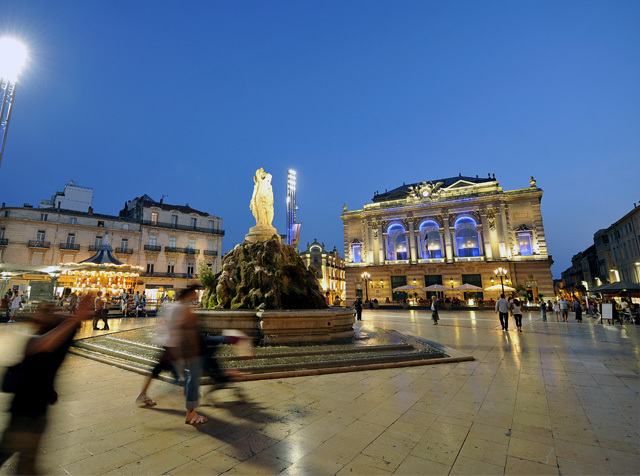 He declared that anyone, regardless of religion or background, could teach medicine in Montpellier… And thus was born, at the end of the 12th century, which is today’s oldest operating medical school in the occidental world. The Faculté de Médecine is located in the ancient halls of a medieval monastery and Episcopal palace, now open to visitors. (Subject matter of guided tours organised by the Tourist Office). The Medieval Mikve is a ceremonial Jewish bath dating from the 13th Century. One reminder of the importance of the Jewish community who had played a leading role in the development and influence of Montpellier. Situated in the heart of what was once the Jewish quarter, the bath is now one of the best-preserved mikves in Europe. The Mikve is closed during the archaeological excavations. Great architects such as Simon Levesville and d’Aviler brought major changes to medieval dwellings. The austere façades contrasted with the monumental staircase that was adorned with balustrades and which led onto an internal courtyard. It became the symbol of social distinction. • Sète : the fascinating birthplace of Brassens and Paul Valéry, situated between the sea and Thau lagoon, famous for its oyster farms.